The Human Brain project made headlines earlier this year as one of two EU flagship projects that won 1 billion euros' worth of funding over the next decade. Nages Sieslack interviews project leader Henry Markram ahead of his keynote speech at this year's ISC'13 event in Leipzig, Germany. "I realized that there are large unexplored territories waiting for someone to explore. The brain seemed the biggest frontier, so I started studying the brain." Henry Markram. 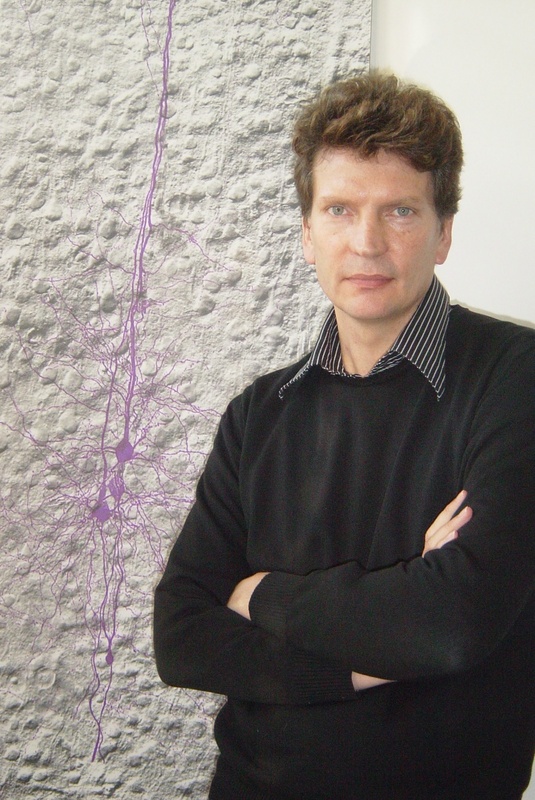 International Supercomputing Conference (ISC) recently announced that it will be giving the Human Brain project, led by Henry Markram of EPFL, Switzerland, a platform at the annual event for the next 10 years to share their latest research findings . 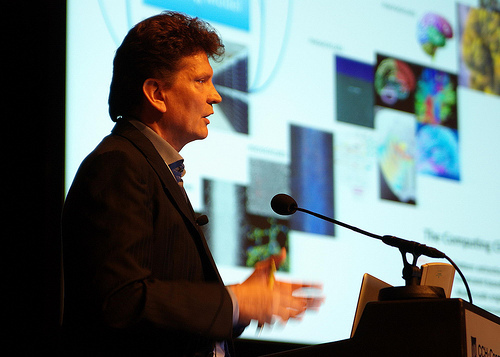 Their first talk, 'Supercomputing & the Human Brain Project - Following Brain Research & ICT on their 10-Year Quest', will be held on Tuesday, June 18. 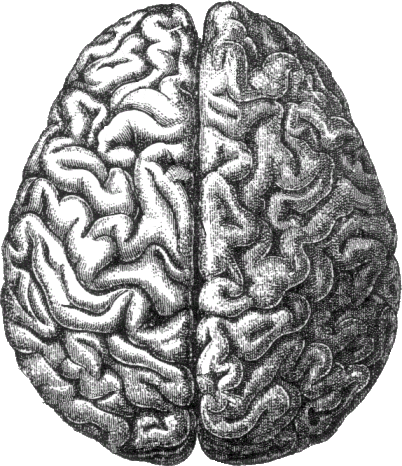 How did you first become interested in researching the human brain? I became interested in the brain already at school, triggered by a project on depression. I decided to study medicine and become a psychiatrist. During medical school I realized that there was not enough known about the brain to treat the brain and delved into neuroscience. I have a son with autism, which also frustrated me that neuroscientists could do so little to help people with disease. I also realized that we won't ever collect all the data needed from using only experimental techniques to study and map the brain. I therefore developed a new plan to use what we know and apply biological principles to predictively reconstruct the brain and identify key experiments to enhance these predictions. You can call it predictive neuroscience. Predictively reconstructing and simulating the brain requires data-intensive supercomputing, which was inadequate when we started in 2005, so I became committed to shaping the evolution of supercomputing to meet our needs in neuroscience. Some people consider you a superstar in the field of life sciences. Some news reports have even compared you with Dr. Frankenstein. Are you comfortable with this celebrity status, infamous or otherwise? I hardly read any of the stuff that is written about the project and me. I have learned that they are incapable of reporting the real story so they generally are doing an injustice to society. They like to focus on some sensational part of it and most often come to an interview with their own story in mind. It has, however, helped mobilize interest in the brain, which is good for everyone. One of my missions is to spark a brain race so that all countries get serious about understanding the brain. Currently the funding for the brain is a small fraction of the global cost of brain diseases to society. In an interview you once said that you were an average student until you discovered Latin in school. How did this interest transfer to science? I was bored at school and liked sports much better. I was a cross-country and marathon runner, I played rugby, cricket, I swam - everything except study. Latin somehow woke up something and I realized that there are large unexplored territories waiting for someone to explore. The brain seemed the biggest frontier, so I started studying the brain. Henry Markram speaking at ISC'11. Image courtesy ISC. The Blue Brain Project was your first effort to reverse-engineer the mammalian brain. What insights were revealed by that project? The most important insight is that we will not need to measure everything and map everything to faithfully reconstruct the brain as it is in biology. Most of the brain's structure and function is an emergent property, so you could be wasting a lot of time and money measuring things in the brain that would anyway emerge if you understand the underlying principles. We are on a hunt for the minimal data and most fundamental principles that allow the most detailed predictive reconstruction of the brain. One of many principles that we discovered is that a neuron in the brain does not project to another neuron in the brain. It simply sends its fibers to a region of the brain and lets the neurons there chose whether it wants to connect with that neuron. This way all the neurons in that region can equally chose which fibers they want to connect with. Even the section of the fibers follows a simple principle that a neuron will choose a fiber if the fiber touches it many times. This principle will make connection of all the neurons with trillions of synapses in a predictive reconstruction much easier than we thought before. There are many such principles we have derived. Another is that the robustness of the structural and functional design of the brain comes from the diversity of its elements (genes, proteins, neurons, etc). This diversity strangely enough makes sure we have many common features across individuals. Functionally, I think it is possible that volumes of tissue in the brain, rather than neurons or synapses, are the computational elements of the brain, but that is just one of many hypotheses that we can now explore. When do you think you'll be able to simulate a human brain? What is the most technologically challenging aspect to this? I think we will have most of the key data, biological principles, and predictive algorithms ready by the time exascale supercomputing comes of age. We need exascale to get to a first draft of the human brain. Even then we will have to resort to multi-scale strategies to pragmatically manage the limitations of supercomputing. So, most of the supercomputing manufacturers believe that we will have exascale with the kind of memory we need by 2020 - at the latest by 2023. "I decided to study medicine and become a psychiatrist. During medical school I realized that there was not enough known about the brain to treat the brain and delved into neuroscience." Henry Markram. How do you plan to spend the research funding of 1 billion over the next 10 years? We will build six ICT platforms (60% of the budget for neuroinformatics, brain simulation, high-performance computing, medical informatics, neurorobotics and neuromorphic computing) that will allow massive global collaborative research of the brain (CERN style), its diseases and developing of new brain-inspired computing technologies. About 20% of the budget is devoted to strategic mapping of the brain for specific data that is unlikely to be generated by the community in the next decade. The remaining 20% of the budget is devoted to awarding grants to fund research using the platforms. Do you spend most of your time researching these days or do you have time to teach as well at EPFL? I spend about a quarter of my time on developing brain reconstruction algorithms, a quarter on working on student projects including experiments, a quarter on overseeing the development of the Blue Brain Project and a quarter on coordinating and launching the Human Brain Project. What is the nature of the cooperation you have with the other 80 institutions around the world regarding the Human Brain Project? We have 13 sub-projects to build the six ICT platforms. Each works on a specific part required to build, launch and operate these platforms. In the future there will be more partners that focus on using the platforms to do novel research. What do you think about the recent announcement of the US 'BRAIN Initiative', America's brain mapping project? How would you compare it to the Human Brain Project? It is great that countries such as the US have decided to elevate the priority for brain research. It is the single most important challenge for a healthy and productive society and the disease burden will cripple economies if we do not find new solutions. The technology they produce will help get better data on the brain. The Human Brain Project will use this data to validate the brain models we build. We hope other countries will also join the 'brain race'. Everyone will benefit from a brain race.